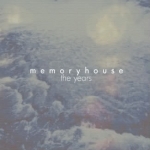 Some excellent electropop now from Canadian duo Memoryhouse, chilled synths and phased guitars serve up lush textures and kaleidoscopic colours from another time and place. Millionyoung's remix give it a danceable pop beat and speeds it's up with looping bleeps and highnotes but loses nothing from the enchanting original (from The Years EP, which is available here). Totally dreamy.